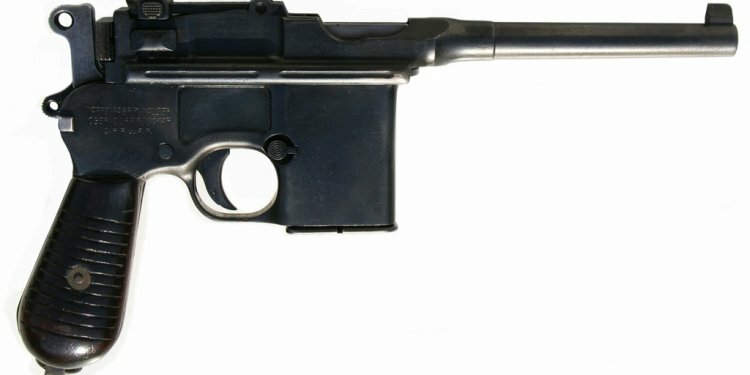 Perhaps because of the reputation of the Luger the Walther P38 was typically overlooked by American souvenir hunters and even gun collectors for many years. However, the handgun has become more popular with collectors today. It also remains in service with German police units today, proving that the P38 was a reliable and worthy successor to the Luger. The name Walther PPK probably sounds familiar, as it is the handgun used by the fictional superspy James Bond. But the gun actually pre-dates the Ian Fleming novels, and certainly the Bond movies. The Walter PP does not mean “Pocket Pistol” as is sometimes noted, but rather “Polizeipistole, ” as in Police Pistol, while the PPK was Polizeipistole Kriminalmodell, meaning Police Pistol Detective Model, and issued to plainclothes detectives. It is also worth noting that while the gun was used by Nazi German officials, the PP was first released in 1929 and the PPK in 1931, before the Nazi government came to power. Both versions are credited with being the world’s first truly successful double action semi-automatic pistols, and hence the action was widely copied – it was used in the later Walther P38. While the handguns were widely used throughout the war – and it was a PPK that was used by Adolf Hitler when the dictator took his own life – both versions remained in use after the war, and have seen numerous improvements. The PPK/E is the latest version produced and it entered production in 2000. One of the most unique vintage military revolvers is known for its use in Russia, but yet it was in fact a Belgian designed firearm. This was the Model 1895 Nagant revolver, which was in actuality developed in 1894 by Emile and Leon Nagant, two Belgian gun designers, who had previous experience with the Russian arms industry. Their development of the revolver coincided with the Imperial Russian Army’s need for a new sidearm, which the firm of Fabrique d’armes Emile et Leon Nagant designed and brought to production. The Nagant brothers were already well known at the Russian Court as they had previously helped design the Mosin-Nagant Model 1891 rifle.